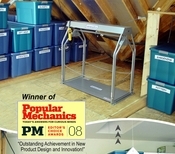 There is plenty of storage space in your attic, the problem is getting to that storage above your garage. You can try and climb attic stairs with heavy boxes, but that's just asking for trouble. 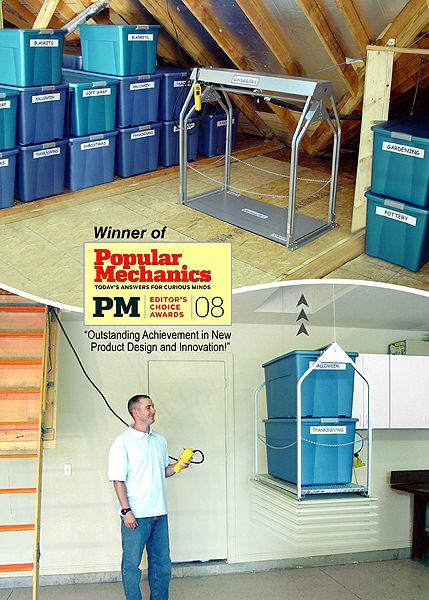 What you need is an attic lift that carries your heavy items up to the attic for you. 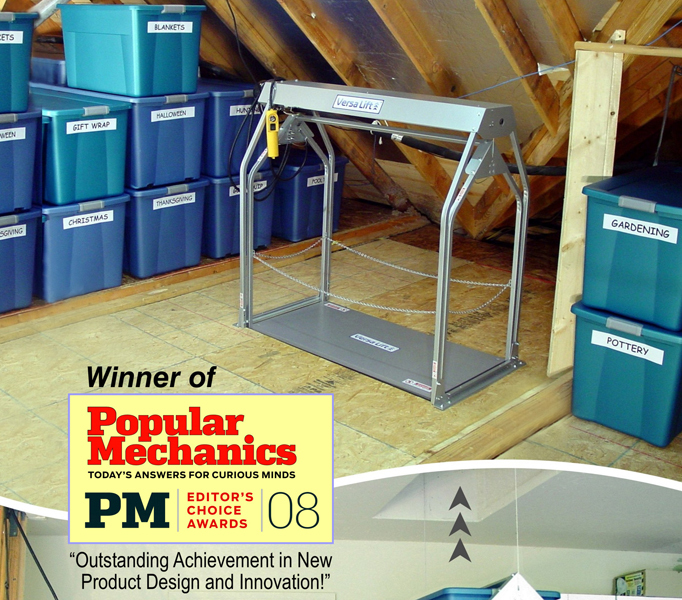 Take a look at this attic lift video and give us a call with any questions at 800-736-9308.